watching and waving at the world with a wicked word sometimes a wise one! 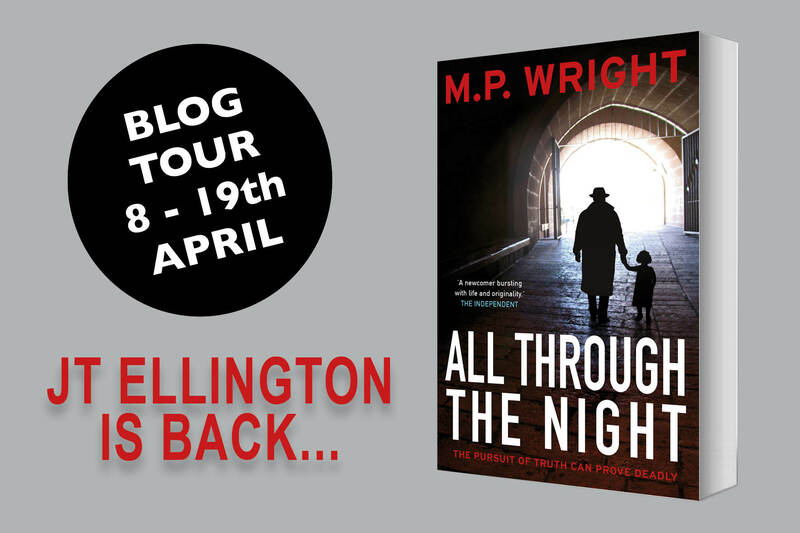 At the launch of a book in Belgravia in April, I was in conversation with a friend of a writer and the writer (whose book was being launched) and we got into a conversation about where I live – Portsmouth. 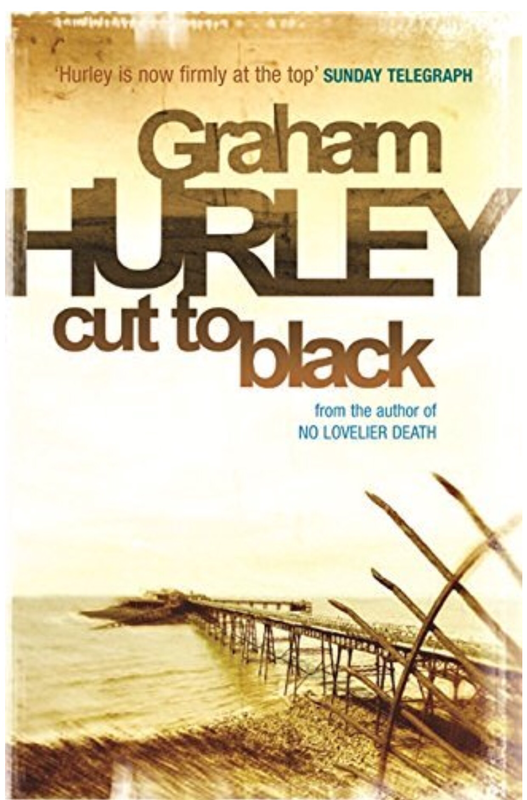 The friend of the writer said “you’ll know Graham Hurley’s police procedurals set in and around ‘Pompey'” and I replied simply “No, tell me more!”. I am also inspired to write about Graham’s excellent procedurals because the entry in Brit Noir by Barry Forshaw is very small considering Graham’s extensive catalogue of books. On my return from London, I was on Amazon and had ordered “Turnstone” the first in the Faraday and Winter series. To date, I have read four of them in rapid succession – Turnstone, The Take, Angels Passing, and Deadlight this among reading preview copies of newly or to be published books for my blog and of course for writers and publishers who are kind enough to ask. I hasten to add I am now reading Cut to Black. All four of these I read with great affection as the police stations, locations, pubs, local marinas, shopping malls, and landmarks are all very familiar to me. This doesn’t detract from how excellent these books are as police procedurals. I suppose I should remind my readers that I was a special constable in Hampshire for 5 years, based at Fareham, Cosham, and Kingston Crescent so the buildings and the force I also hold in great affection. 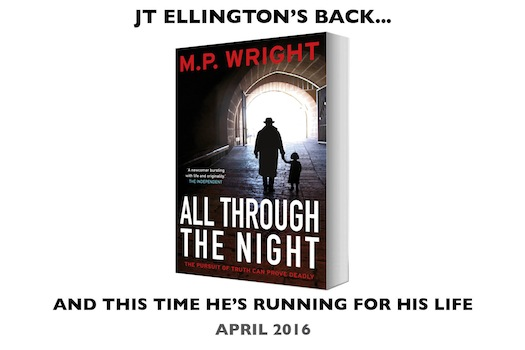 The initial main attraction for me was the well-constructed police procedural; the use of actual police terminology. Hurley uses jargon and abbreviations, but he does explain so you’re not left wondering. He even refers to Tango-One the old name for the police control centre. Most of all I am now following the two main protagonists in these books; Joe Faraday and Paul Winter. I’ve called this “Faraday’s Law” because it sums up for me that Joe (follows the letter of it) keeping the investigation ‘policy book’ up to date on decisions made. Joe’s personal battles also loom large in these books – his relationship with his son JJ; his love-life and his times out walking, watching birds. Joe’s love of bird watching is also a treat and the title of the first one is, in fact, one of the birds he sees on Farlington Marshes and Langstone Harbour – the Turnstone. Graham describes Joe’s conflicts with Winter and the political battles he fights with the upper echelons of the police management both local and regional. However, in contrast, Paul is a law unto himself. Paul is an old-fashioned copper; he hates procedure and process unless he has to jump through a hoop to ensure something is admissible in court. He is also a bit of a geezer in truth with some if not all of one foot in the camp of the bad guys but in the interest of getting a collar. He has his sources and he has a way to get information about crimes and outcomes that others on the team in the stories don’t. I like him in a contradictory way. So to the books, just teasers no spoilers I hope. A girl goes to the police station to report her father missing on her birthday. “He would never miss my birthday”. The plot develops into a search for a missing person for Joe. The local crime network is heavily involved in this story and it also involves a nautical theme and what happens when the weather takes a turn for the worst during the Fastnet yacht race with fatal consequences. The story is complicated when one of the local criminals is shot by a police officer during one of the raids which has long-term consequences for the officer and his wife who is one of Joe’s colleagues. This deals with a gynaecology consultant who seems to be using his position to abuse the patients to satisfy his own proclivities but it backfires and he is now not practising. He then disappears from a hotel in Portsmouth and is seen leaving with an unknown figure. Who is this man? Winter unofficially gets to the bottom of this but the main investigation they are struggling. The setting and timeline of this, for those who know Portsmouth is when Gunwharf Quays was only just being built. There is a lot of reference in this one about the lack of future for kids in the area and how they turn to crime as a way of life, without recognising the consequences. This was a great book; I read it literally in 4 days. It starts with a warship being hit by Exocet missiles during the Falklands war and then jumps to present day – 20 years after – where a prisoner office is found dead in his flat. The unraveling of this apparent murder alongside the death of a drug dealer, the circumstances around Ellis, Winter’s colleague, who is getting phone calls in the middle of the night, Joe’s promotion to major crimes where he is acting as DSIO in the absence of Willard, his boss, all keeps Cathy Lamb, Paul Winter and Joe very stretched. We start to hear about Jimmy in book 5 of the Joe stories Cut to Black although I think he was mentioned once in the previous. So time has moved on …. In between Joe 2 and Joe 3, I made the fatal reading mistake and broke one of my own rules by reading the first of a follow-on series called Western Approaches by Graham Hurley. It deals with the exploits of a protégé of Faraday and Winter, Jimmy Suttle, and his move from Hampshire to the west coast of England in and around Exeter with his wife Lizzie a former journalist and their young child, Grace. The flaw in my judgement came when in the first few pages I learned about the fate of Joe Faraday and Paul Winter – in fact – Winter features greatly in the plot of this first in the Suttle series of which I now have read number 2. It contains some spoilers and back story that as I serial reader didn’t want to know. So before I read number 4 in the Faraday series I again read about Jimmy and Lizzie in Touching Distance. Another great book dealing with the deaths of a number of people who have been ‘offed’ by what look like snipers. It hooks back to squaddies involved in Afghanistan and Helmand province and once again Lizzie get’s hooked by one of the characters in the interests, this time, of a good feature for her paper. I now have Sins of the Father on the to-be-read pile. I will continue to read these excellent books until they or I am exhausted. I will keep you all posted on my progress through these excellent novels.